BambooHR offers easy, integrated applicant tracking (ATS) as part of our award-winning cloud-based HR platform. Onboarding tools, e-signatures, time-off tracking, performance management, plus easy reporting and a convenient mobile app set you free to do great work. Released from the data management spiral, HR professionals become more effective, more efficient, and more human. 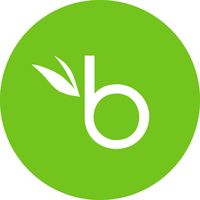 Visit bamboohr.com or give us a call to see a demo and start a free trial.